Ex-Oceansize frontman and current Biffy Clyro touring guitarist Mike Vennart has signed with Superball Music for the release of his debut solo album under the Vennart moniker. Titled ‘The Demon Joke’, the album will be released on the 22nd June 2015 and is preceded by a Pledge Music campaign. 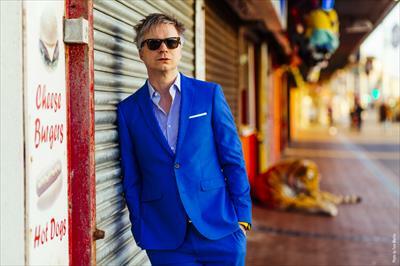 "Oceansize were always very close to my heart, so I am thrilled that Mike has finally gotten around to recording his fantastic, debut solo album. It's been long overdue!"